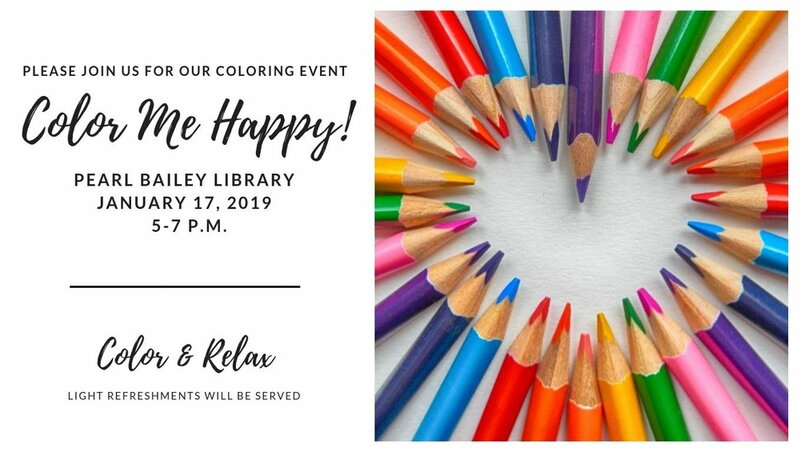 Join us for an evening of coloring for all ages at the Pearl Bailey branch. Light refreshments will be served. Registration opens on January 3 (click "find tickets"). Free!